This is made from ex-bourbon barrels and only 4.890 bottles were made. 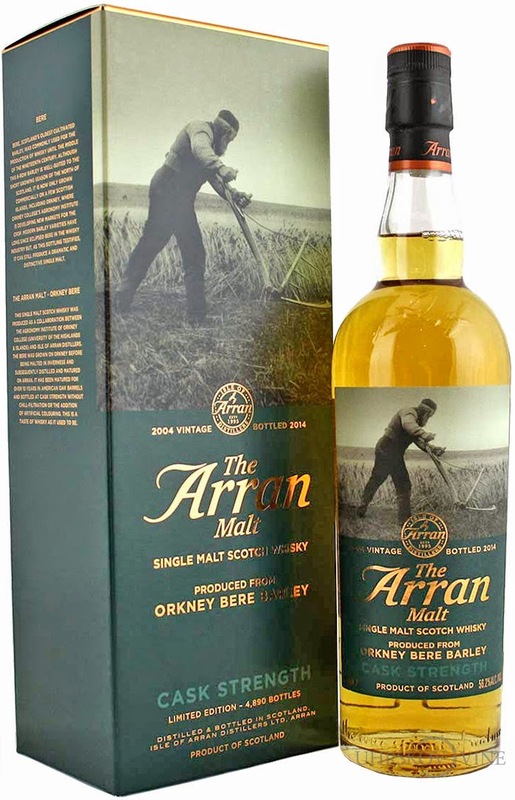 It is made from a sort of barley that Arran have grown in cooperation with Glasgow University. The idea was to make the sort of barley that was used back in the days. The smell is filled with grass, hay, barley, honey and citrus. Power, power and more power in the taste. I think they succeeded. The taste is very old school. Like tasting the Scottish Highland on an autumn day. The hay and grass is again predominant. You get a little harsh caramel sweetness in the finish. A good balance and a funny complexity. It is not my favorite taste, but a person looking for this will love it, because this is great quality. Once again Arran have made a farmers choice! I will rate this 89/100 (22/22/22/23).